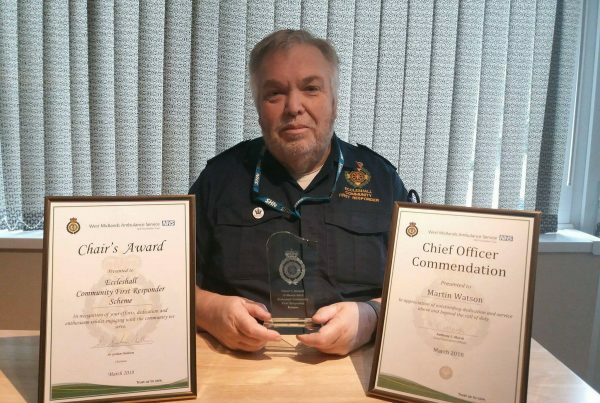 Eccleshall Community First Responders (CFR’s) are a group of volunteers trained by West Midlands Ambulance to a nationally recognised level and provide life saving treatment to people in their local communities. We respond to 999 calls in the local area and give medical aid until the Ambulance Service arrive on scene. Our goal is to help save lives within our community by providing immediate life support to those in need. We receive no funding from central sources and rely entirely on donations and fund raising in order to provide the service to our communities. The volunteer responders give their time for operations and training freely. The money that we need for day to day running costs as well as the purchase of equipment, uniforms and a vehicle has to be raised through fundraising events or public or private donations. On the 2nd June 2017, Eccleshall CFR’s were awarded the Queen’s Award for Voluntary Service. The Queen’s Award for Voluntary Service is the highest award given to local volunteer groups across the UK to recognise outstanding work done in their own communities. It was created in 2002 to celebrate the anniversary of The Queen’s coronation. We’d love to hear from you, and there are a variety of ways to get in touch with us. 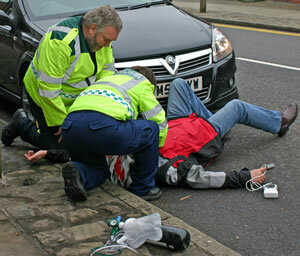 Please remember that in emergencies you should call 999 or 111. 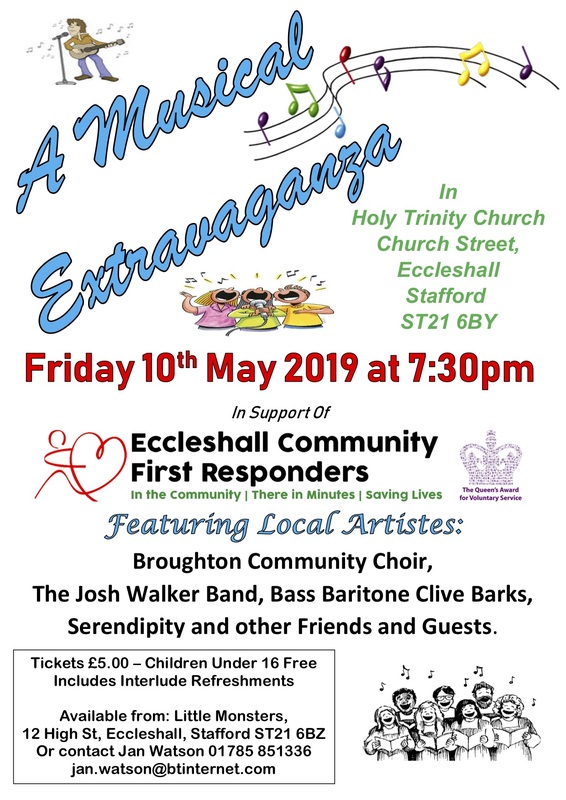 Eccleshall Community First Responders shared a post. Big thank you to all the staff and customers at the Bell for organising and taking part in the Easter Raffle. PIctures show the winner of the hamper, Deborah, being handed her prize by Group Coordinator, Martin and Publican Phil handing over the proceeds of £175 to Martin which will contribute to our annual running costs. We have two more Public Access Defibrillators to be placed around the town. I now have permission to site one on the wall near the play area on Sancerre Grange. Thats taken three years to achieve with absolutely no help from Bovis Homes. The other will hopefully be going on or near the Burgage to cover Stone Raod, Burgage and the new homes behind the Burgage. Just waiting on Stafford and Rural Homes to give the go ahead.